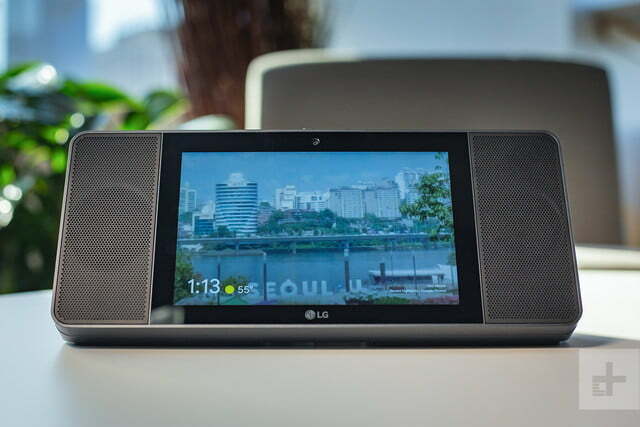 The LG WK9 smart display’s bold sound beckons you to listen as much as you look. Call 2018 the year of the smart display. 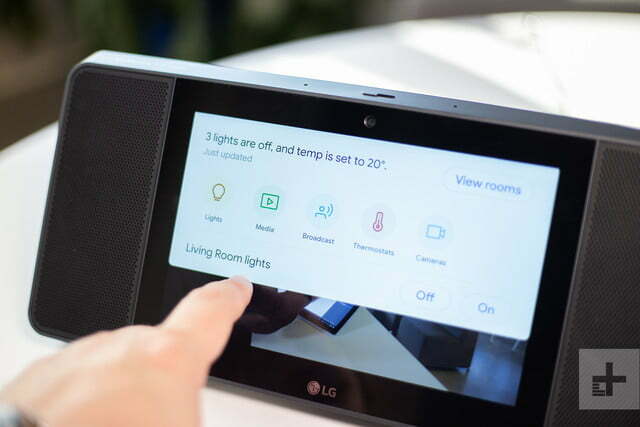 This year alone, many new smart displays — or tablet-like speakers with a screen and an Amazon Alexa or Google Assistant voice assistant — have hit the shelves in droves. Amazon released a new Echo Show in September, and Facebook has gotten into the game with the Portal and the Portal+. 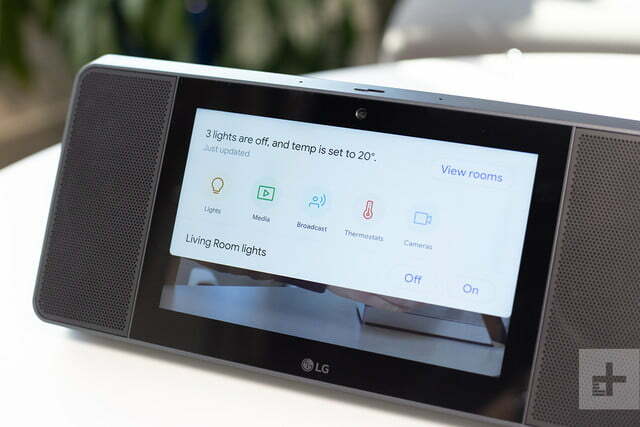 As for Google Assistant smart displays, there’s the Lenovo Smart Display, the JBL Link View, and the Google Home Hub. 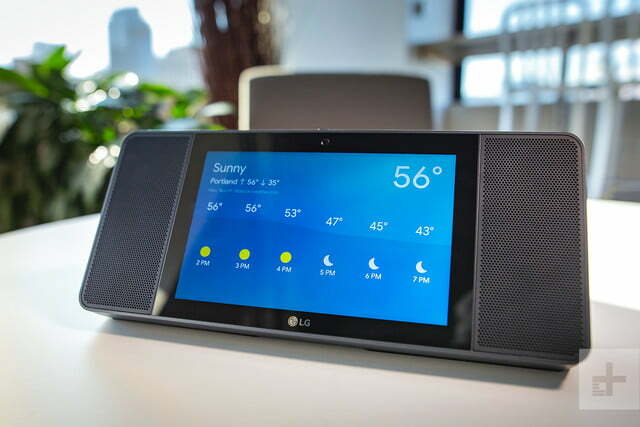 Now, LG has hopped aboard the smart display bandwagon with the XBOOM ThinQ WK9 smart display speaker. The device, introduced at the Consumer Electronics Show in January 2018, is finally hitting shelves in time for the holidays and is available for $299 (you can get it $100 off, for $199, through the month of November). It features Google Assistant voice technology and boasts excellent sound. But can it stand out in an increasingly crowded market? We took it for a test run to see how it measured up against the competition. The best way to describe the looks of the WK9 is … blocky. It looks a bit retro, and reminds us of a small boombox from the 1980s. It’s a long, rectangular device that measures 12.6 inches long, 5.3 inches high, and 5.2 inches deep, and while it doesn’t have a high profile, will take up some space on your countertop. 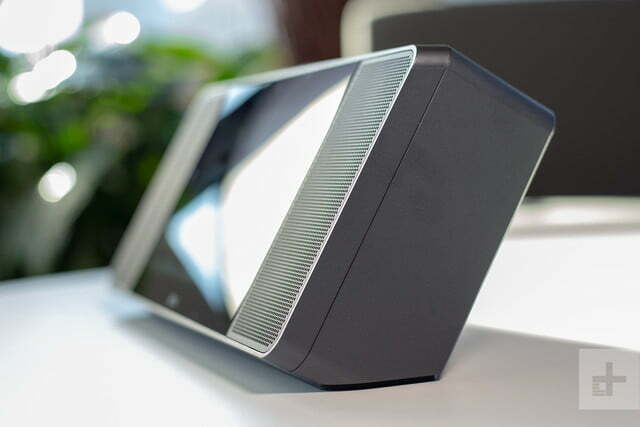 It sits at an angle with the eight-inch screen at the center and 20-watt speakers on each side of the screen angled upward. 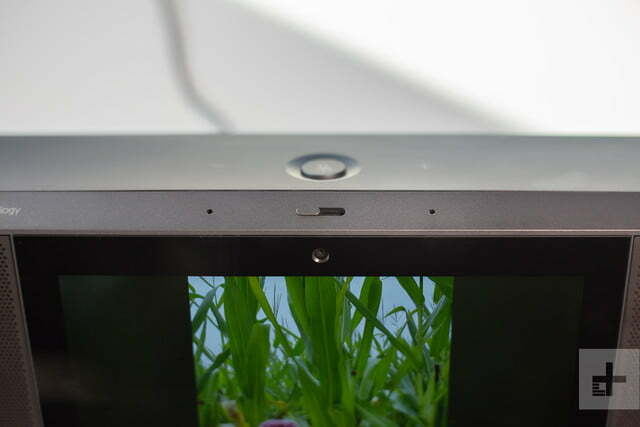 The device is also heavier than other smart displays. 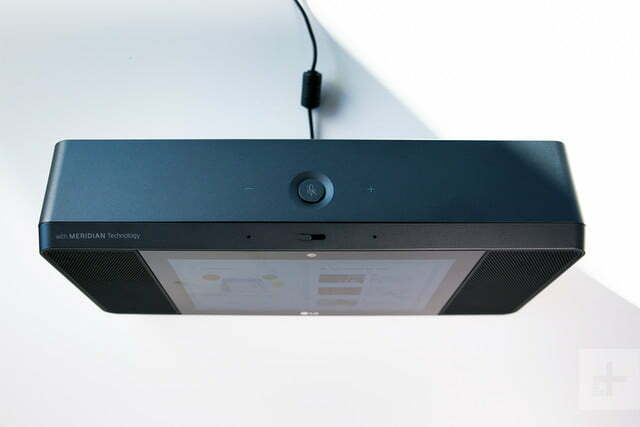 While the Lenovo Smart Display and Amazon Echo come in at around two pounds, the WK9 weighs four, likely because of the components that give the speaker its firepower. On the top is a round mic on/off button as well as volume controls. There’s also a manual camera on/off switch with a red indicator letting you know when it’s off. 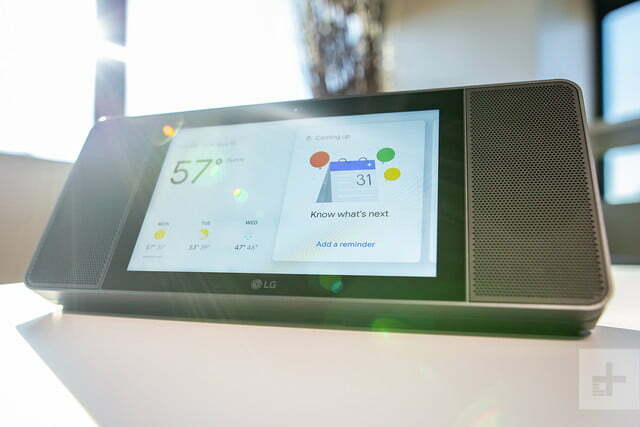 While devices like the Google Home Hub and the Echo Show feature a cloth backing, LG opted to go full mechanical speaker mode. We can’t say we’re in love with its looks. As we mentioned before, the WK9 is one of four Google Assistant smart displays, and one of three third-party manufacturers running a different version of Android Things that focuses on smart home devices. Device setup is pretty easy via the Google Home app. After plugging in the display and opening the app, you’ll see a “new device found” button you can tap, and then you’ll be guided through setup from there. If this is your first Google Home device, there will be more heavy lifting to do, including inputting your Wi-Fi network info, setting up things like Voice Match if you want your device to recognize your voice, choosing which voice you want Google Assistant to have (you can choose from male or female, among other options), and connecting smart devices such as light bulbs or a camera. Google Home devices now connect with thousands of compatible devices — more if you have an existing smart hub that allows everything to play nicely together. We had no trouble getting the WK9 set up on and ready to go. In fact, it took just a few minutes — something we always appreciate about Google Home devices. Like the Google Home Hub, the WK9 features a smart home control center that you can access by swiping down from the top of the screen. We have our thermostat, lights, and cameras connected, and found it easy to control them with either our voice (“Hey Google, turn off the master lights) or by swiping down on the screen, hitting the lights icon, choosing bedroom lights, and then controlling them from there. Either way is quick and easy. Like the Google Home Mini or Google Home Hub, you get Google Assistant functionality that works well. A device with a screen offers more: For example, we were able to see our morning commute time on the screen as well as the weather. We’ve said this before, but smart displays make the most sense for use in the kitchen, where one might want to get video help with cooking. We asked the WK9 for help during a dinner party when we realized that we did not have a recipe for deviled eggs. Google to the rescue: The WK9 displayed dozens of recipes that we scrolled through to find the video we wanted to watch. 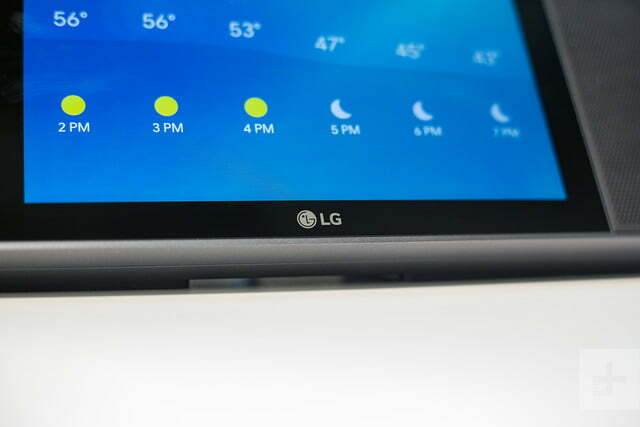 A couple other things to note: The WK9 has Chromecast and LG’s ThinQ technology built in. That means you can access shows and movies via Chromecast, and if you have a smart LG appliance, you’ll be able to control those devices through the WK9 as well. Google Duo voice calling works on the WK9, although during a test call we found the images to be a bit pixelated, sort of like an overexposed photo. Watching shows on the device was fine, but keep in mind that with an eight-inch screen, it’s unlikely to replace a TV or a laptop for media consumption. Like the Google Home Hub, the WK9 also serves as a digital photo album, accessing images from Google Photos to showcase on the screen; although, for some reason, many of the images that displayed for us were cut off at the bottom or the side. We didn’t have that issue with the Google Home Hub or Lenovo Smart Display, both of which also display photos. So, in a crowded smart display market, how does a speaker that is both late to the party and more expensive than the rest stand out in the crowd? The answer is in the sound. 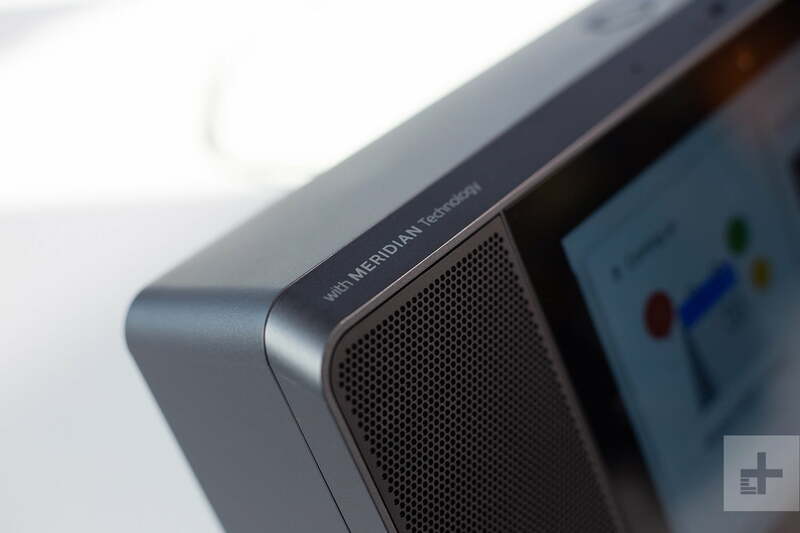 LG has partnered with Meridian, the British company known for high-quality and high-resolution audio, to produce a device with two 20-watt speakers that are just really, really, REALLY loud. The dual 20-watt speaker produces a rich, room-filling sound that is strong and balanced. 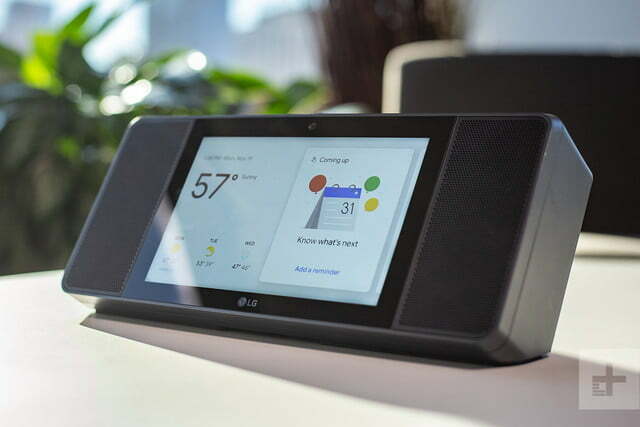 It’s a bit like the JBL Link View, the other Google Assistant smart display known for excellent sound, except we think the bass is more powerful, and the treble is a bit clearer in LG’s speaker. We fired up “Happy” by Pharrell on the Link View, the Echo Show, and the LG WK9, and found that the LG sounded the best of the three. We should point out, though, that while the sound is superior, we’re not sure it’s worth forking over an extra $100. The JBL Link View is $199, while the Echo Show is $230 and often on sale for less. As the frenzy over smart displays die down, it’ll be interesting to see if they’re popular, and if so, why. Will it be stellar sound that proves to be the main draw, or the screen, or both? We shall see. The LG WK9 comes with a one year parts and labor warranty. 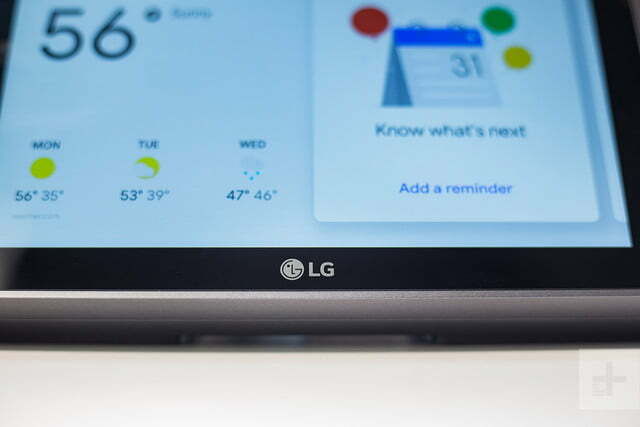 Overall, we find the LG WK9 to be a decent, great-sounding smart display, albeit a little expensive and blockier compared to others on the market. Forgive us, though, if we’re feeling a little bit of fatigue during what has become the year of smart displays. We’re still unsure whether these devices will be popular, and if so, whether the screen or the sound will be the biggest draw. There’s a lot to choose from on smart display shelves. 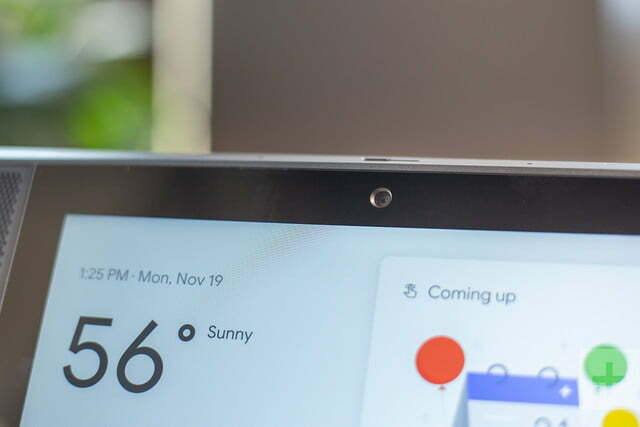 For Google Assistant devices, we love the Lenovo Smart Display, which comes in two different sizes (10 inches or 8 inches) and costs $249 and $199, respectively. It’s not the best choice if you’re looking for great sound, though. The Google Home Hub costs $149 and, refreshingly, does not have a camera or a big footprint, meaning it’s perfect for a bedside table or night stand. But that lack of camera could be problematic for people seeking to use it for video calls. The $199 JBL Link View is the other Google Assistant speaker with a screen that features great sound, and is a cheaper choice if budget is of concern. Alternatively, if you’re not married to Google Assistant, the new Amazon Echo Show features Amazon Alexa voice control, a 10-inch screen, better-than-decent sound, and a built in Zigbee smart hub at a cost of $230. And if you don’t need a screen or quality sound but just need a smart speaker, you can save a lot of money by opting for a Google Home Mini or Amazon Echo Dot — both costing $50 or less. LG has been around for decades, and its recent partnership with Meridian sees it producing the best-sounding audio devices in its history. Furthermore, the WK9 is a sturdy, well-built model. Finally, Google Assistant pushes out firmware updates often to support devices that utilize the technology. You should have no concerns over how long the device will last. If you’re in the market for the best-sounding smart display and are willing to pay a little more, then go ahead and buy the LG WK9. If you’re budget conscious and looking for a smart display with great sound, consider the JBL Link View or Amazon Echo Show instead. The Google Home Hub is crazy cheap with a massive $80 discount. Let the Google Home Hub with its 7-inch touchscreen smart display manage your smart home. Act fast while the Google Home Hub is on sale for 53% off its usual $150 price.